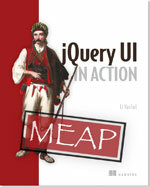 In this release, we’ve added support for jQuery 1.4.3 and IE 9. We’ve also added some new features to all widgets and interactions, which are listed under the Widget Factory below. All widgets created through the widget factory now trigger a create event upon creation of each instance. For example, when creating a dialog via $( "#dialog" ).dialog() you can bind to the dialogcreate event or specify a create callback. You can now specify additional logic for gathering options that should take precedence over default values, but not over options passed on initialization. Prior to this release, the widget factory had built-in support for using the metadata plugin to gather such options. As of 1.8.6, you can now specify whatever logic you want by creating a _getCreateOptions() method in your widget; the default method uses the metadata plugin to maintain backward compatibility. When setting options via the option method, the full set of options is passed to a new method called _setOptions. The default implementation is to just pass off each individual option to the existing _setOption method. However, you may want to override _setOptions in order to batch the updates. Check out the dialog widget for a nice example of batching updates. The datepicker widget now has support for two more localizations: Galician and Portuguese. Progressbar has finally received an update, with the addition of a new callback. There is now a complete event that is triggered when the value reaches the maximum of 100%. Color animations now support the borderColor shorthand property for animating all four sides with a single property. See the 1.8.6 Upgrade Guide for a list of changes that may affect you when upgrading from 1.8.5. For full details on what’s included in this release see the 1.8.6 Changelog. Thanks to all who helped with this release, specifically: aebond, Alkarex, AzaToth, bakatron, benjamin.neau, bgrinstead, [email protected], boldewyn, burnrbr, can3p, chrisbarr, cim, clewis, Daniel Steigerwald, dejannenov, didroe, Dmitry Petrov, dziastinux, ehynds, enti, ergec, gavtaylor, itpretty, Ján Suchal, jenters, jitter, jmiller, joern.zaefferer, John Firebaugh, Jorge Barreiro, kbwood, kharpoh, Kryal, lfaustino, Lim Chee Aun, m157y, MechanisM, oov, phallstrom, PKBurgess1983, qpi, quaff, reidres, Richard D. Worth, rickgnyc, roncli, Rwhitbeck, Scott González, seb835, squix, stakach, Tanguy, unt01d, vaporetto, watanabe, waveduke, wiibaker, wprice, xirzec. If you have feedback on us doing our sixth maintenance release for jQuery UI 1.8, feel free to leave a comment below. Thank you. 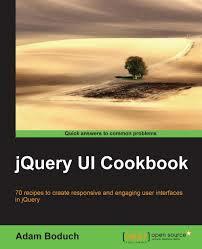 Thank you jQuery UI team! Hmm… The 1.8.6 release seems to have broken the demos at http://jqueryui.com/demos/. The left hand menu does not work any longer. You can’t switch between widgets/plugins. Thanks lmfs, one of the servers had some old files in the cache. The cache has been cleared and the demos are working again. A slight annoyance that backwards compatibility was not in place as it is with ‘beforeclose’.